Throughout the second half of my life I have gravitated heavily towards strategy and tactics games, turn based in particular. I enjoy the math involved and appreciate that I have more than a split second to make good decisions on how to proceed. That’s in contrast to first person shooters for example. A lot of people dislike this genre because it isn’t realistic to have several minutes to strategize your next move during a war. I partially agree because despite my great affection for the genre I can admit a lot of turned-based tactics games are tediously slow. My love for the genre won over again however as I proceeded to boot up Skulls of the Shogun and happily began a new TBT game. Skulls setting is mid century Japan when Shoguns ruled the land. General Akamoto is nearly appointed as a Shogun but is killed prior to this honour. When he arrives to the land of the dead it is learned that he must wait in line for centuries in what is essentially purgatory. Refusing to wait, Akamoto decides to enter the afterlife by force; it is from here where the gameplay begins. The first thing I noticed immediately about Skulls is that it initially appeared to be unlike the majority of tactic games because you are not locked to specific grid-based movements. Instead you move and position yourself wherever you like within the confines of the map and your units movement range. Don’t be fooled though, this is a near-exact movement system to the former that is cleverly disguised as something else. Amazingly this disguise when coupled with each team only having 5 turns per round and being able to use the map as a weapon gives this tactics game incredible pace that I can’t recall experiencing in any other game of this style. You are by no means subject to a time restriction (unless you are playing multiplayer) so those of you who want to take your time in the campaign certainly can. General Akamoto receives many types of units throughout his hostile takeover of the land of the dead. Infantry, cavalry, and archers are the common forces at your disposal but as you progress you meet powerful monk units that you can summon by haunting shrines. Haunting is a very important part of Skulls because this is where you gather currency from rice patties and/or eliminating enemy units by taking over opposing shrines. A positive for this game is that any unit can haunt an area, eliminating the need to cultivate useless allies. Every unit can and should be upgraded by eating the skulls of your enemies! 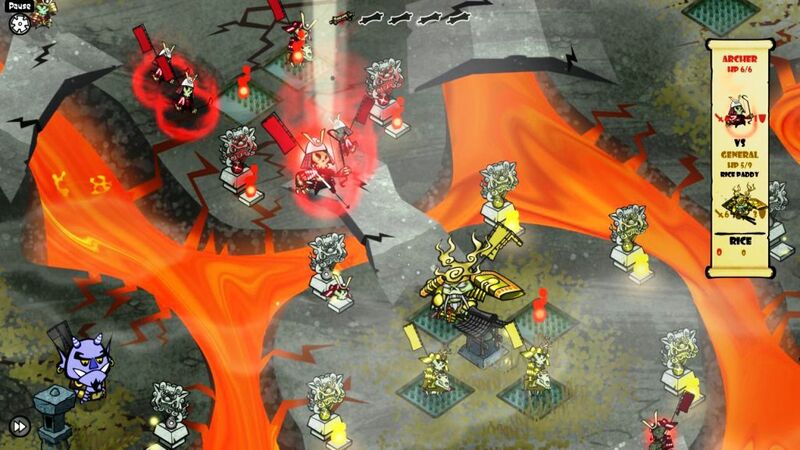 Eat three skulls and that unit becomes a powerful demon that receives an additional turn to attack or use a spell. This is a major part of the humour and charm that Skulls brings. 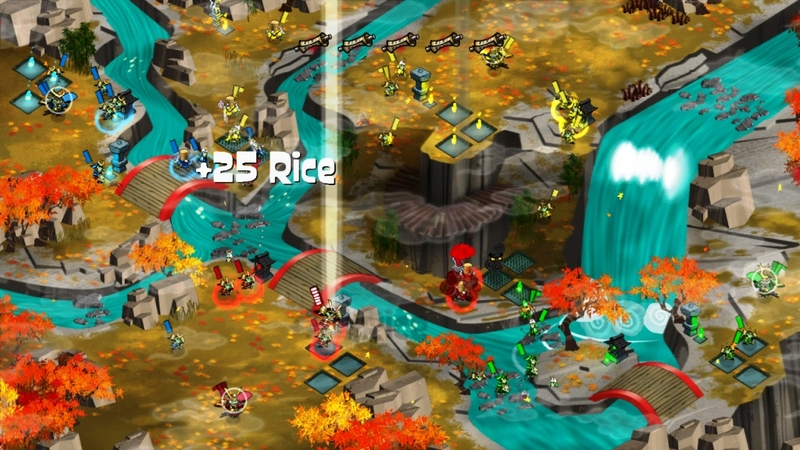 Skulls is very intentionally a comedy and a gross misrepresentation of Japanese culture that I’m sure the developers would suffer many deaths if a samurai ever played the game. While I am all for various types of comedy, I initially did feel the humour was incredibly misplaced in this setting. Shoguns and samurais performing fart jokes were so terrible that I nearly turned the game off. Fortunately the humour does improve and become less lazy. There was a nice hypocritical conversation about the morality of how eating an enemies skull is fine, but eating an allies skull is wrong! While that is still completely out of place of an 11th century general, it was a much more enjoyable humour that I can appreciate. It certainly made the story that was very revealing early on much more enjoyable. Almost every critical aspect of the story was told very early on, so you just kind of go through the motions. Thankfully comedy is here to save the day and salvage this flub in basic pacing of a story. The gameplay is incredibly fun and easy to learn but truly excels in revealing its many layers of depth throughout your progression. There are so many of the little things that you will learn about to give yourself the upper hand when you are put into seemingly insurmountable scenarios, which happens a lot! Sarcastic comments like “Sure, why not? 4 versus 36 is fair” was a common quote my girlfriend had to hear me scream throughout the 18-20 hours it took to beat this game. But it is these layers of depth like using the map itself and its environment to your advantage that made my victories feel a lot more gratifying. Fortunately this game is very approachable for beginners but to complete it in its entirety would take a fairly skilled tactics player. Each level you complete comes with 3 gold skulls that are possible to collect; certain objectives in the way you complete the level are how you collect these. 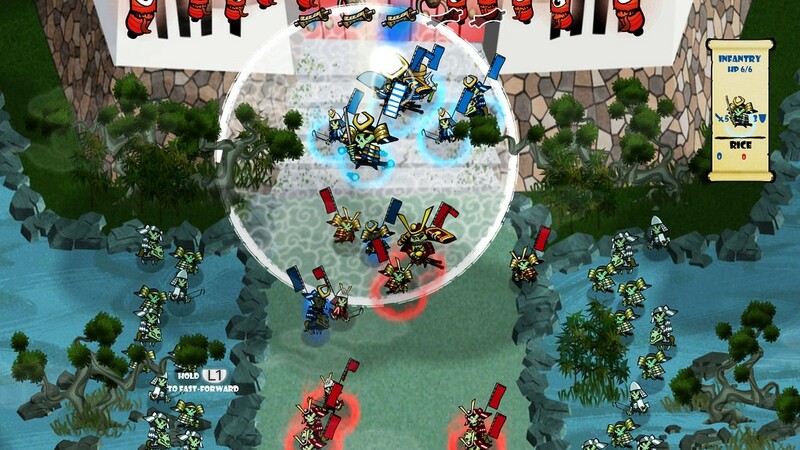 Overall I do recommend to anyone who likes or is looking to get their feet wet into the genre of tactics games that they give Skulls of the Shogun a go. It has a fantastic pace and enough of a challenge that it won’t be a cakewalk. Despite the hiccups in the story and some of the strange comedy I mentioned, these can be ignored or become better as you progress. And if you do get the Bone-a-fide Edition, beware of the Forgotten Isles. It is incredibly tough but has much better pace to the storytelling. July 12, 2016 in Derek Pacheco, Guest Post, PC, PS4, Review, Xbox 360.